At No. 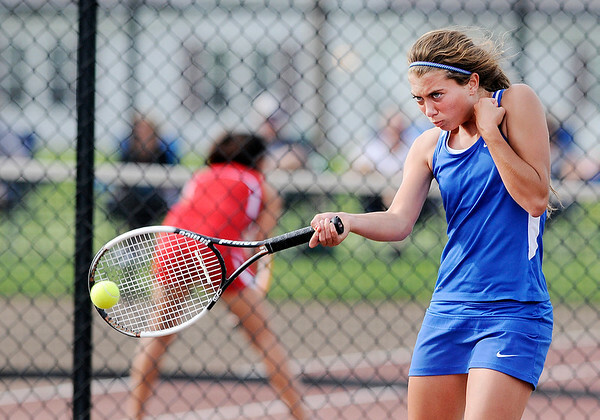 1 singles, Elwood's Brooke Creamer returns a volley to Anderson's Lex Heruth in the No. 1 singles match during the first round of the tennis sectional at Highland Middle School on Wednesday. Creamer won in three sets, 6-3, 4-6, 6-3.